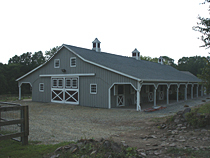 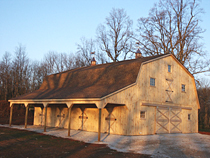 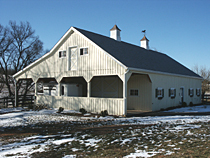 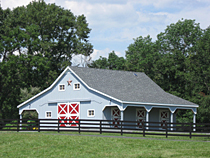 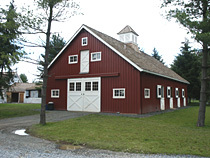 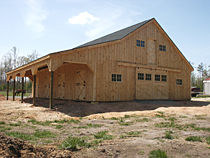 We offer many different styles of Horse Stables. 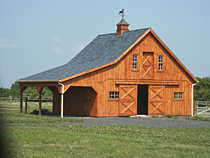 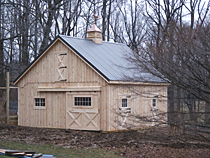 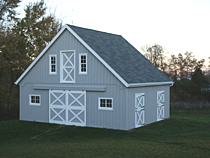 If you don't see the style of barn you like, let us know and we'll custom build one just for you. 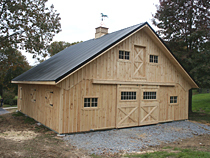 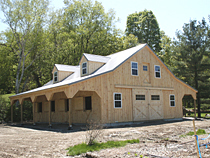 Most of our barns are built with White Pine siding, but can also be built with either Cedar or metal siding. 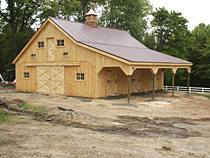 You will also notice that many of our barns have lofts, lean-to overhangs and some other features that are often optional with other builders.